Soak the rice and dhal separately for 2-3 hours.Grind the red chillies,sombhu,ginger and garlic with salt.To this add the rice and grind it to fine rava consistency. Then grind the dhals to a coarse consistency and mix them together .Add in chopped onions,grated coconut,asafoetida,curry leaves and coriander leaves, mix it well and keep aside. 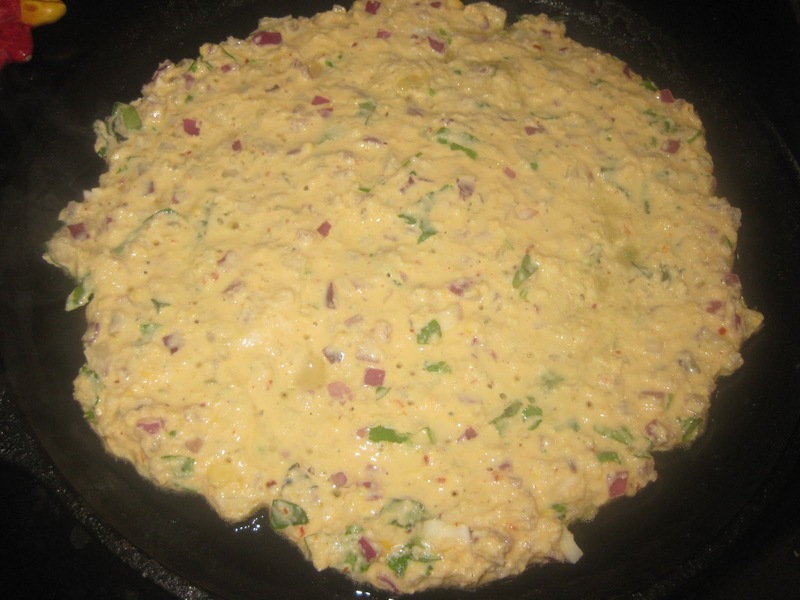 Adjust the consistency of the batter by adding water,it should not be too thin or too thick.Heat a griddle and pour a ladle full of batter and spread it little thick.Drizzle a tsp of oil and cook it till the color of the edge changes to golden brown. 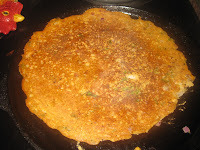 Then flip it to other side, add another tsp of oil and cook it for minute or two.Take out from the griddle when both sides are cooked. 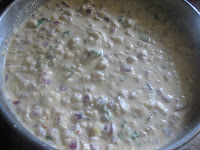 Enjoy it with coconut chutney or avial. 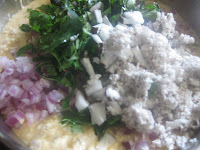 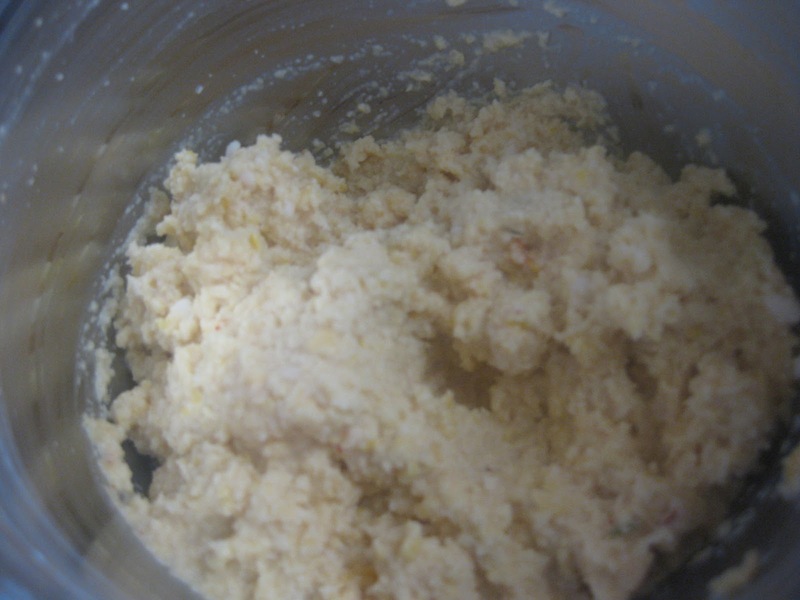 My mom adds drumstick leaves and sautes the onion and mixed in the batter which will be very tasty and flavorful. 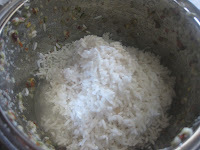 Instead of grated coconut ,finely chopped coconut pieces can be added. 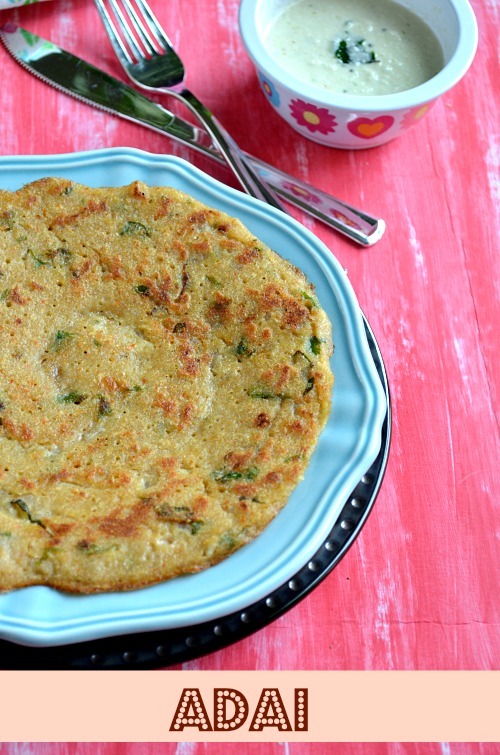 Using shallots makes this adai even more tasty. 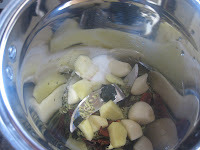 Sending this to Let's cook series #8 - Hibernative Foods. 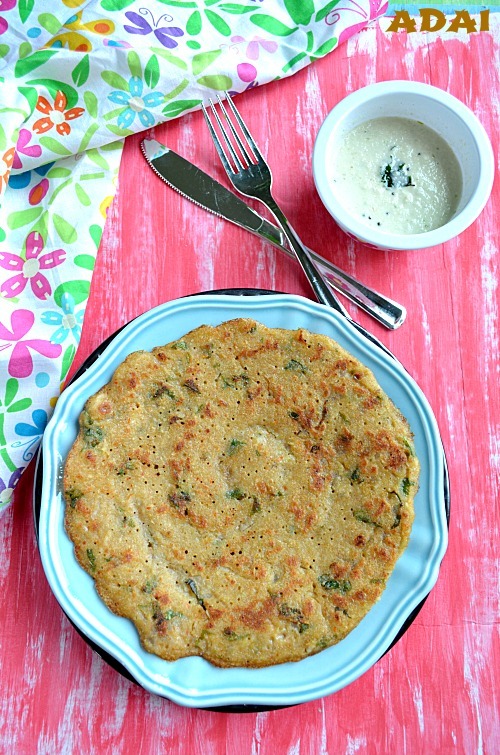 I prefer adais to dosa..and always try with different combination of daals...your adai has turned out great...and its always great to see step by step pics. 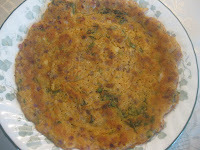 Adais looks great... very healthy and wonderfully tasty..:) Loved the combo of ingredients..
Adai Looks great. Love it. Wonderfully done.. 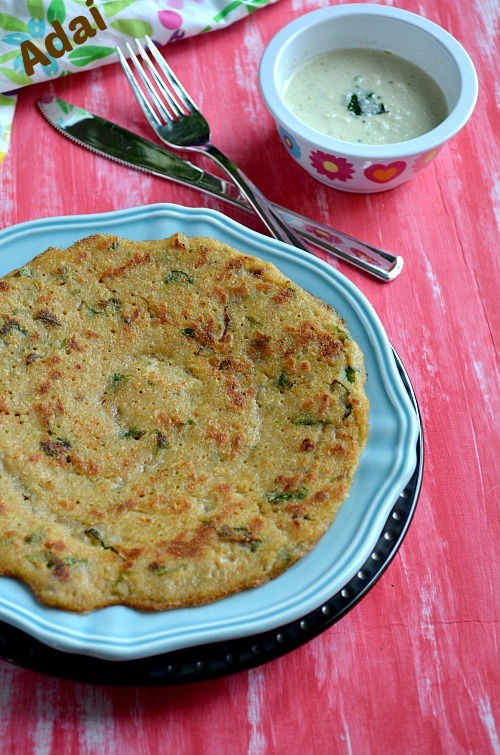 I love both he thick and crisp versions..
what a lovely and healthy way to have breakfast, adai looks great n delicious.. 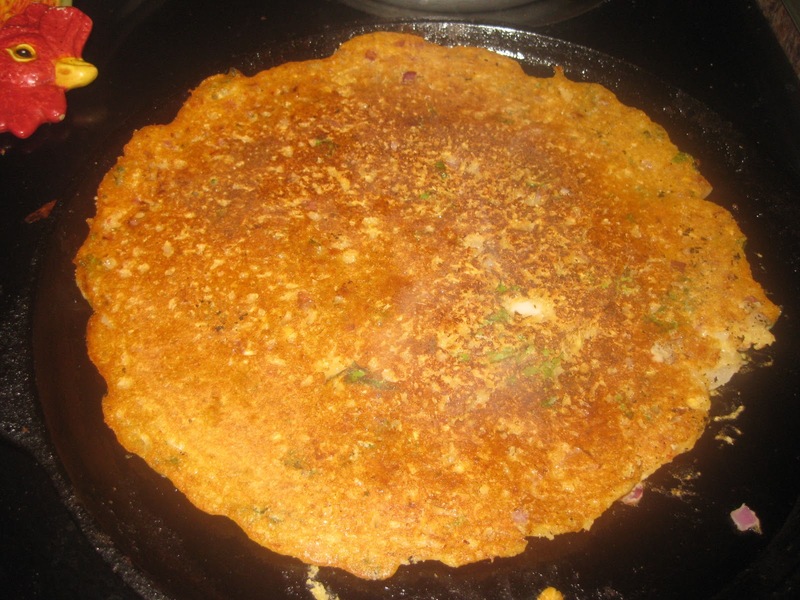 Healthy and protein rich breakfast Adai.Luks supergood in the click.Thanks for sharing.